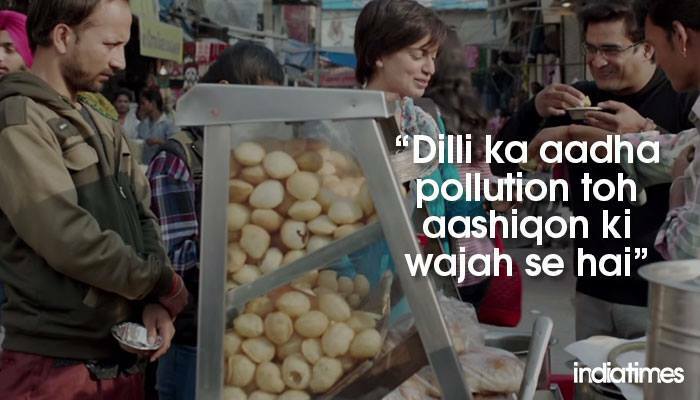 Though everybody is going gaga over Kangana’s performance in Tanu Weds Manu Returns. 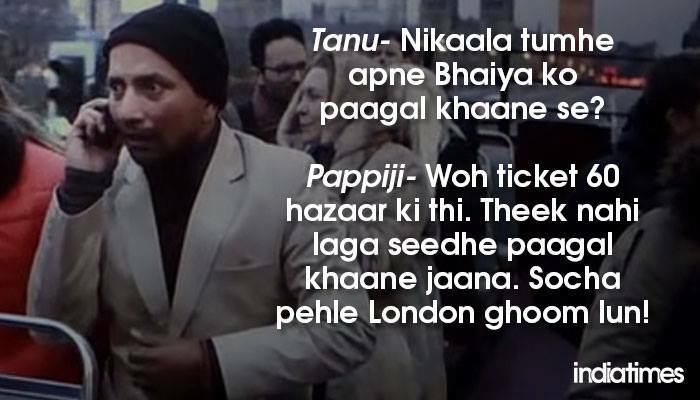 But for me, the best character role wise and acting wise has been that of Pappi Ji. 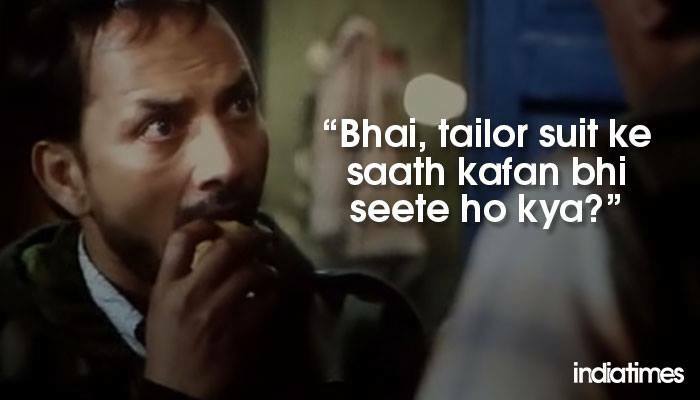 Deepak Dobriyal who has played the role of Pappi Ji in the movie has performed brilliantly. 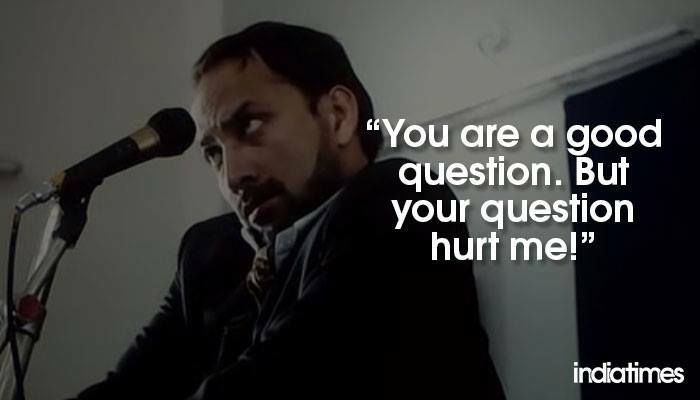 The fact that he has some of the most memorable dialogues in the movie, help him too. 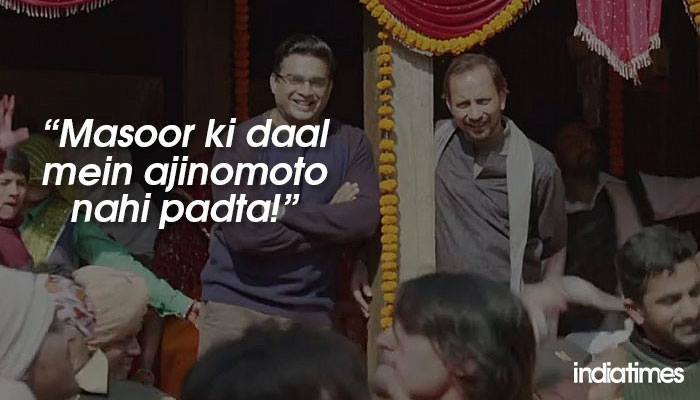 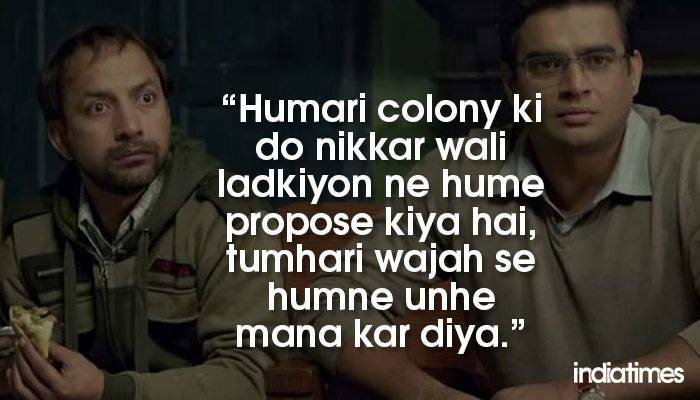 Earlier, we had shared 10 Hilarious Dialogues from Tanu Weds Manu Returns. 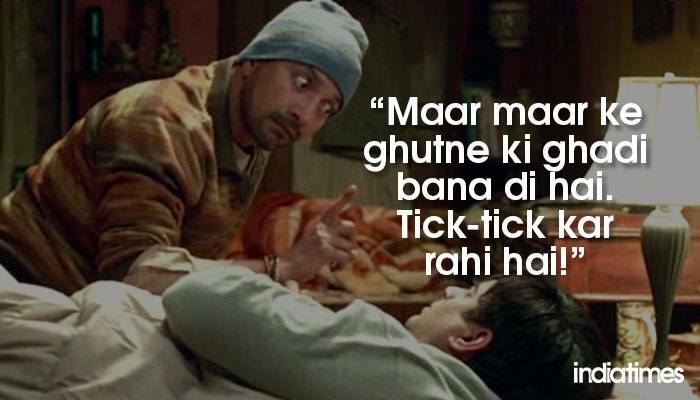 Today, we share some of the hilarious, fun and funny dialogues of Pappiji from this movie.